How much do you think it takes to feed an average Australian household? Four hungry mouths can digest a significant amount of food in seven days, so it should come as no surprise that it is not cheap. What might come as a surprise is that on average Australian families spend about $322 on food and drinks each week. Even more shocking is that one in five of those households will end up throwing out 20% of that food in the rubbish each week. Think of that. Imagine getting a $50 and $10 note and flushing them down the toilet each Sunday. In essence that is what one in five Australian households are doing. That is at least three smashed avos each week! So to help you shop smarter, faster, healthier and save some serious coin each week, here are some tips and tricks from some of the savviest shoppers you could ever meet. Shopping in peak hour is a sure fire way to increase your stress levels. As you barrel down the aisles pushing and shoving the other droves of workers that are foraging for their groceries and packing them into their shopping trolleys, you will end up with a random collection of groceries that you will never use. When grocery stores are quieter, you will be able to navigate around the store quicker and make better decisions. Rule #1 – Avoid shopping at peak hour. If you fail to plan, you plan to fail. Don’t waste your time with the traditional list on the fridge, instead keep a list on your phone. Whether you use Notes, Evernote or any of the myriads of note-taking apps you will love the convenience of being able to write down items wherever you are. In the kitchen, tick. On your bedside table, tick. On the toilet….that is up to your hygienic conscience. When you are at the grocery store you can pull your phone out and focus on the specific items you need. You will save time, money and hassle by identifying which aisles you do not even need to go down. When you start using a shopping list you will be blown away how much time you save! Studies done by the grocery industry show that about 70% of purchases are unplanned. So, can you really afford to not make a shopping list? Rule #2 – Make a list shopping list. Back in the old days, grocery shopping was a community event. Your local grocer knew your name and was friendly, helpful and genuinely sought to help you out. Nowadays, if you shop at one of the two big grocery conglomerates, shopping is just about appeasing the shareholders. Neighbourhood grocery stores are still around, you just need to know where to look. With fresher and more nutritious produce as well as a reputation for offering personalised service, neighbourhood grocery stores offer a wealth of advantages. 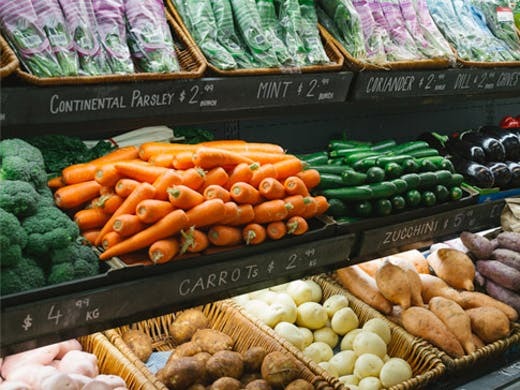 Offering the range of a farmer’s market with the convenience of a corner store, your local boutique grocery store can help you save time, money and hassle. 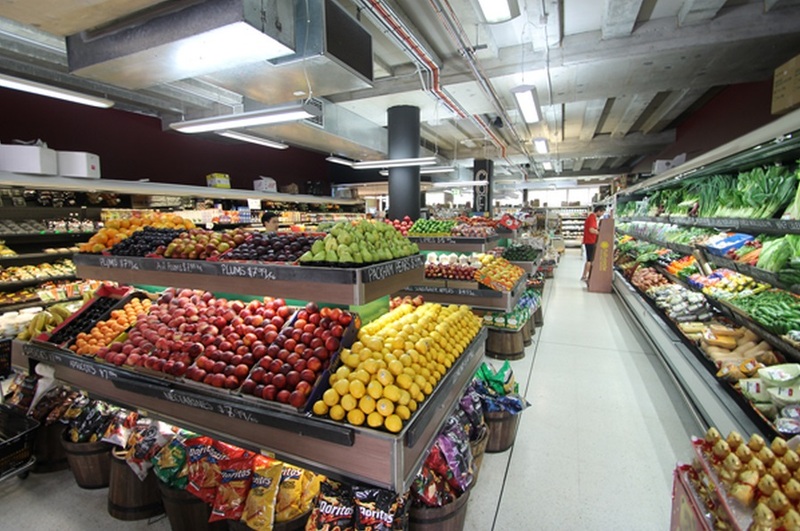 If you shop at one of the two major grocery store chains in Australia you are going to have the convenience of having everything under the one roof, but you pay for this convenience. By supporting your local grocery stores, not only will you be able to find unique products at cheaper prices, but you will actually save big on your weekly grocery shop. Check out the grocery delivery Sydney website to explore how you can even get free grocery delivery! Rule #3 – Support your local grocery store and enjoy the savings and boutique range. Sydney Markets finalists for 2013 Greengrocer of the Year Awards. 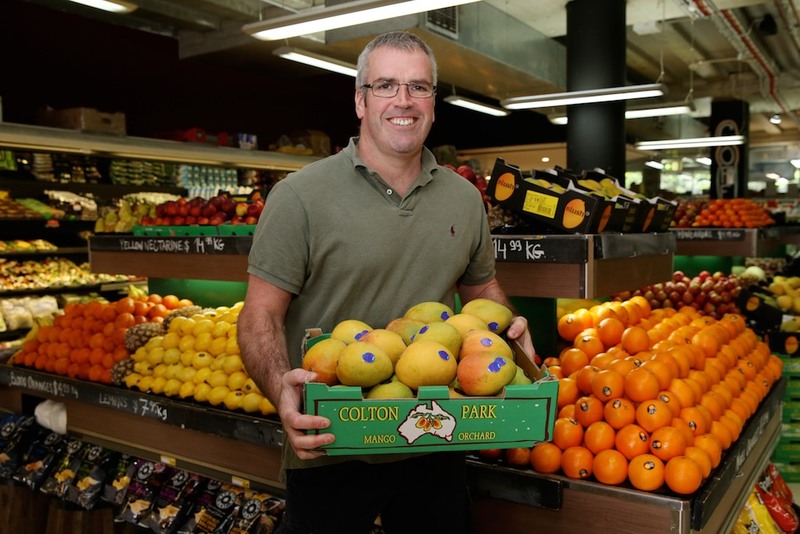 Richard Maloney of Maloneys Grocer, Surry Hills. The easiest way to fill your shopping trolley up with random pastries, junk food and unwholesome snacks that you will never eat is to go to the grocery store when you are starving. When you are famished your hunger pains will overtake any sense of reasonableness you have, and you will end up with a nasty bill shock when it comes to time to pay! So go shopping after you have eaten a meal to ensure that your cravings don’t dictate your purchases. Rule #4 – Shop on a full stomach. Most facets of our lives have moved online, so why do so many people still choose to shop in a brick and mortar store? Admittedly it is great to be able to physically feel, squeeze and smell your fruit and vegetables before you purchase them, but does it really matter when you are buying tinned tuna, laundry detergent or pantry items? How much time does it take you to get in the car, drive to the supermarket, find a park, battle your way through the aisles, pay for your items and get home? Add it up each week and then over a year and you will realize that we invest a significant amount of time doing our shopping. So how much time could you save if you did the majority of your grocery shopping online? 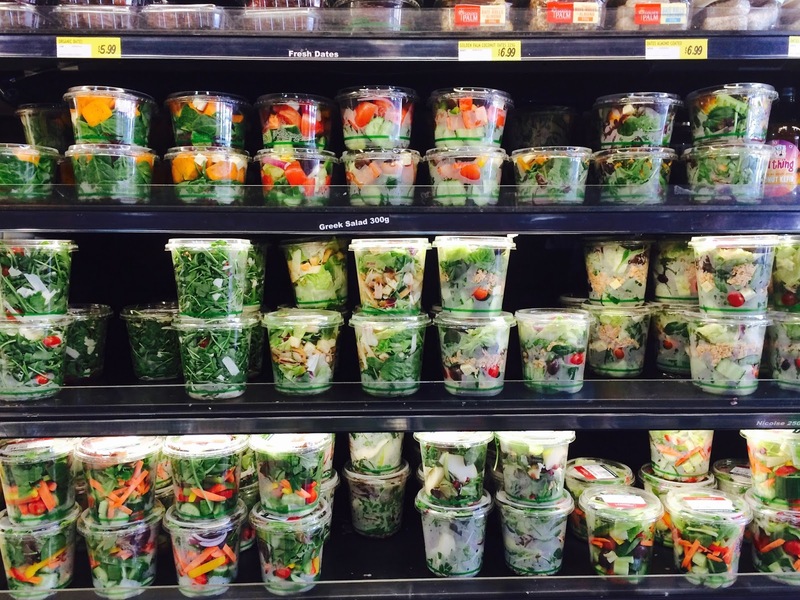 Even if you could halve the number of times you went to the grocery store? What could you use that extra saved time on? If you feel that you are not ‘tech-savvy’ enough to handle your grocery shopping online, you will undoubtedly be pleasantly surprised to discover how convenient and user-friendly online grocery shopping really is. No searching for the right aisle. No waiting in lines. You can shop on your coffee break, at 3am or while you are watching TV. There is no one pushing in. You can put your favourite playlist on and have some fun while you are shopping. An easy way to dip your toe into online shopping is to sign up with Maloneys Grocer. Your first delivery is free so you can enjoy all of the benefits of online shopping without any negatives. You might be surprised at how much stress you can avoid by just changing your shopping habits. Visit the Maloneys Grocer website to explore the entire range of gourmet and organic groceries the team provides in the Eastern Suburbs of Sydney. Rule #5 -Try online grocery shopping to save time and hassle. Don’t grab milk from the front of the fridge. Reach to the back and grab one of the last ones. They will be newer and will last longer. Look at it, squeeze it and smell it. Take the time to inspect each piece of fruit before you buy it. If you purchase overripe fruit, you are wasting your money. The Australian Government is encouraging people to eat more fruit and vegetables. Check the price per kilogram. Supermarkets are obligated to provide the cost of each product per kilogram. This is the best way to analyse which of the hundreds of types of crackers offers the best value for money. Set aside two minutes to understand what each of the numbers means on the price labels and you could save yourself thousands of dollars each year. Budget ten minutes longer for your shopping. Grocery shopping is not a race, so don’t add extra stress by trying to cram your shopping session into 15 minutes. Set aside enough time for you to adequately consider each item and examine the quality and value for money. You will make better decisions when you have more time to consider the options.